#1 Focus On Relationship Building, Not One Shot Experiences. No matter what your skill level, your technical skills won’t matter much if you don’t know how to build and nurture relationships with current and potential clients as well as vendors. I’ll give you a tip! 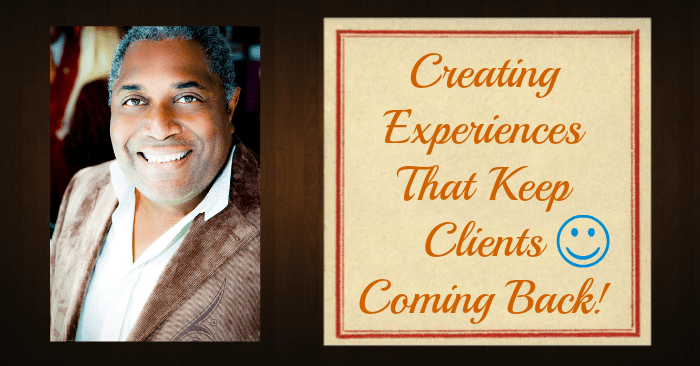 Don’t wait until you ‘need’ clients before you start working on building key relationships. Invite key contacts for coffee or lunch, find out what they need and see if you are good fit. Focus on providing key contacts with something they need even if your efforts offer no immediate payoff. #2 Pick Up The Phone. I know it’s rare for businesses today to make cold calls. But sometimes it’s good practice to pick up the telephone just to say hello to your clients. Of course you don’t want to disturb or be a pest, but if you’re brief and to the point a phone call will generally be a well-received gesture. Alert your best clients to new offerings, or how they’re getting along with existing products or services they’ve purchased from you. We’ve become a society that continues to diminish the power of personal contact often in favor of non-personal electronic communication like text and email. But I’ll give you a tip: Picking up the telephone to say hello has suddenly become a novelty again. Try it – it works. #3 Invest In Good Quality Personalized Stationery. Again in the age of electronic communication where we email this – and text message that, it seems that our society has forgotten the power of the handwritten note. Believe it or not people are beginning to re-appreciate the power of snail mail especially when it comes to personal correspondence. Taking the time to send a handwritten thank you note will go a long way towards cementing your reputation with current as well as potential clients and vendors. In addition, personalized stationary perhaps with your logo or branded color scheme will help to establish your identity with your client base. #1 Conduct A Pre Session Questionnaire. This can be something as simple as a printed card with check boxes asking questions regarding their favorite brand of bottled water, what type of music do they like to listen to, what colors do they feel and look best in, to their favorite snacks or type of flowers. Another option to the printed card is an online survey if you primarily conduct your business online. #2 Under Promise And Over Deliver. Often we feel that have to give away the farm in order to get clients. But I want to challenge you to change your thinking about this. Now I’m not suggesting that you become stingy with your services, quite the contrary. What I’m suggesting is that you focus on offering incredible value for the money your clients are paying. #3 Design A Premium Package. This is vital if you want to ratchet up your income quickly. We tend to only sell our services for one set price that we offer to everyone. I want you to move away from that paradigm as soon as possible. Consider offering at least three levels of packages – think of it as small, medium and large. Of course you want to make your premium package provide the greatest “wow” factor. By offering at least three packages, each with their own benefits and price points, you allow more of your prospects to find a level that works best for them and their budget. Think in terms of a ‘total’ experience. From the moment the client says “yes” all the way to delivery of the product or service, leave no stone unturned. This includes print materials to the packaging, offer a private members viewing area on your website, add a custom blog and registration area, send birthday note cards, cater a private lunch etc. Setup an account with Sendoutcards.com to handle the fulfillment and delivery of custom note cards and small gift items. Consider partnering with other businesses that can provide complimentary service. For example restaurants or private chefs that can offer catered meals, spas that provide facials, massages, makeup artists, hair stylists, etc. Anything that can enhance your client’s experience. Read Purple Cow by Seth Godin, recommended in the next section. I’d like to gift you copy of one my best selling e-book from my Get Paid sries currently for sale on Amazon.com titled – “57 Ways To Monetize Your Gifts (And Create True Security For Yourself! )” I filled this book with tons of tips and inspirational ideals to help you stay on your entrepreneurial journey. I’d love it if you’d “LIKE” my Facebook Page! I’ve provided an embedded post here in the show notes so you can see the e-book and like my page at the time. Don’t worry if you don’t know what an embedded post is, I’ll be talking more about this topic and a great deal more on a special edition podcast series I’m working on the subject of social media in particular Facebook, Twitter and Pinterest. So stay tuned for that in the next episode of the podcast.